The Fantasy Faire just brings together so many wonders... you can make your fantasy realm a reality with all of the wonderful things you can find there! 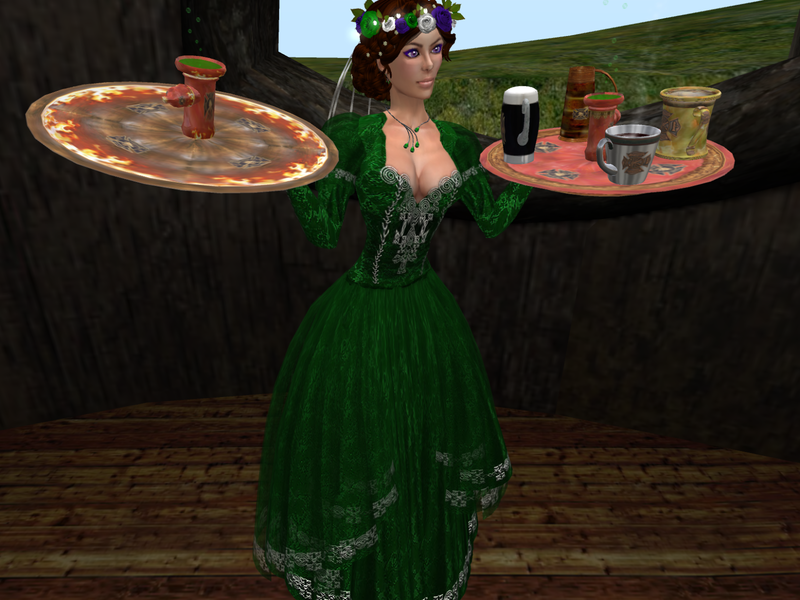 Serve up your favorite dishes like Dragon Pot Pie, enjoy some French pastries... Perhaps you could give that dress just a little extra sparkle with some stunning jewelry and brighten your eyes with a little color? So many small touches make the overall experience something you can treasure... This is just proof that you should visit all of the sims during Fantasy Faire... you just never know what you will discover! Five Alarm & Firemen's Memorial Trays will only benefit ACS via RFL Vendors @ the Faire. Note: I took some liberties with the poses and trays because they just worked so well together. The trays actually come with their own holding poses and will give you delights or interact with you depending on how you interact with it. Kittycat says everything in the store at FF2013 is half off! The Magic poses from Two Cats are lovely and would work well with any fantasy setting!